Katrin Herd, second from the left, addresses friends and family during a dedication of the landscaping around a waterfall feature at Parr Hill Park on Friday. Joining Herd and her family, right is Joplin Parks and Recreation Director Chris Cotton. 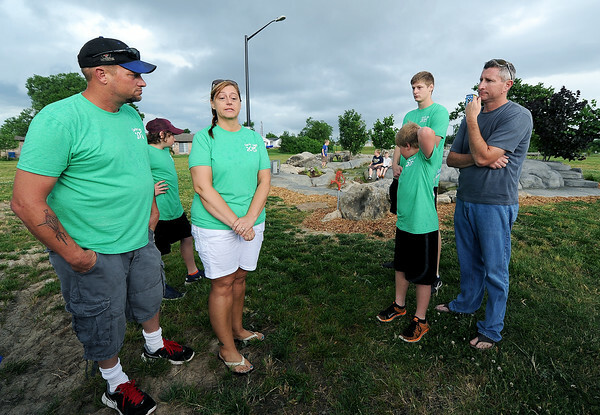 Herd's son, Riley Minnis, was an avid environmentalist who helped clean up the park after the May, 2011 tornado.